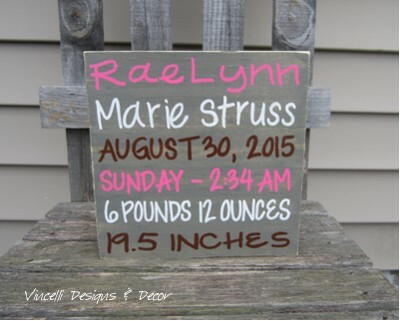 Baby birth info plaques are a unique keepsake displaying a new baby's birth info. 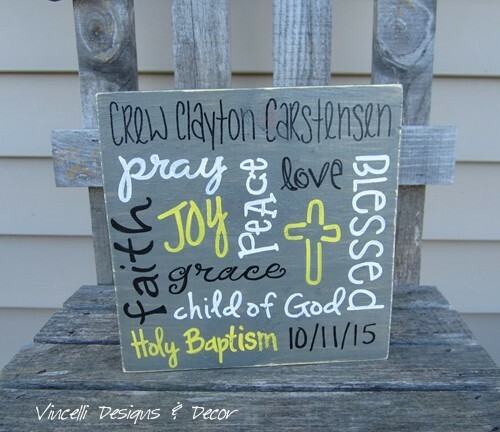 Baby plaques include baby's first and middle name or first and last name or full name. Also displayed is: birthdate, time, weight, and length. 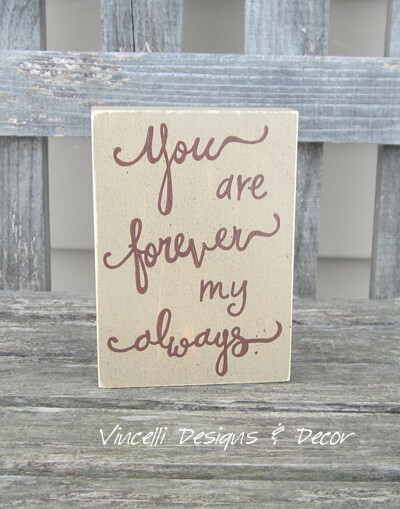 Plaques are handpainted and written by hand. Sides are sanded by hand for an antique/worn look. Sawtooth hanger is on back to be hung on wall or plaque can be displayed freestanding. Sealed with a waterbase protective sealer and measures 7.25" square. Please write baby's birth info below in the text boxes below. Thanks! I can do many different color combinations, so please email me at amy@vincellidesigns.com, if you'd like a different color scheme.